Nielsen Consulting – Thank You and Welcome! I applaud you for taking action! You are taking a step in the right direction towards controlling your own financial destiny! 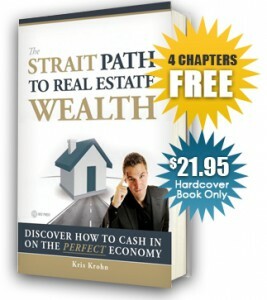 Here is you full-length download of Strait Path to Real Estate Wealth ebook. Soon, you too will be practicing Strait Path Real Estate! This method takes the least time, effort and risk; while maximizing profit, meaning, and purpose. I seek to be a financial liberator, empowering people to experience genuine prosperity by action-oriented enlightened living. The simple process outlined in this book has enabled me to realize huge profits while helping deserving families in my community get into a place they can finally call home! It gives me great joy that I can offer a product, in this case real estate, that provides big value to my customer! Now you will have the knowledge to do the same! Once again thank you for taking this step with me! I know it’ll be worth it! You are about to learn the hidden and dark side to your IRS or Govern ment Sponsored retirement savings accounts. 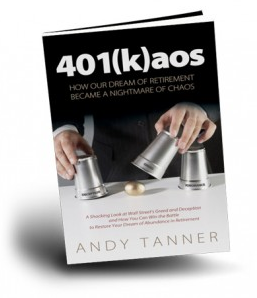 Known most commonly as 401ks and IRAs, but with many variations these plans and the administrators behind them are literally stealing your wealth and hope of a comfortable future retirement. This isn’t some conspiracy theory or someone trying to scare you into buying a product; this is the cold hard truth. The facts are there for anyone who wishes to look. Click Here for your download or click on the picture.